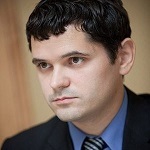 Below is the interview with Vlad Voskresensky, the Founder and CEO of Invisible.io, the company behind SmartCloud Connect. Vlad has over 20 years of experience in helping companies to connect their enterprise and personal environments (like CRM systems integrations with inbox clients & calendars, and more). Q: Vlad, could you provide our readers with a brief introduction to SmartCloud Connect? A: Sure, SmartCloud Connect is a highly-customizable enterprise-class solution for bringing Salesforce to your Inbox and Calendar. 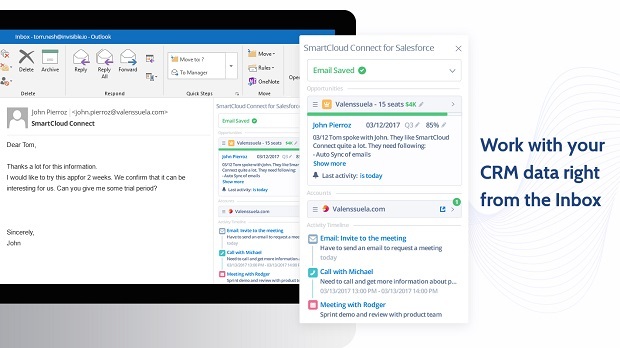 Whether it’s synchronization of emails, meetings, contacts, attachment or tasks between Salesforce and Office 365, Outlook / Gmail – the product puts it all on autopilot, allowing you to configure how exactly your activities are logged into Salesforce. Using our contextual sidebar, you can bring any CRM data about your leads, contacts, opportunities, and other custom objects from Salesforce into your Inbox. Q: Who is your target market and how do you differentiate yourselves? While most of our competitors are focused on integrating data, our unique selling point lies in integration of custom business workflows with the tools that people actually use day-by-day. And we know all the ropes of the thing. Q: What is SmartCloud Connect? A: We help sales and service departments, as well as Salesforce admins in solving some of the key bottlenecks of their routine tasks. That said, given you’re a sales rep, you can finally focus on your deals and everything around your revenue-generating tasks. All the while, our product helps to handle most of the disruptive woes of your regular activities. For instance, you can update your CRM records, schedule meetings without the back-and-forth, track your email openings and handle a bunch of other tasks – all without leaving your Inbox. As a sales manager or operation, you can make your team a lot more productive at least by automating some of the administrative activities you are wasting too much time on. Let’s say, as keeping the CRM data up-to-date. Furthermore, since SmartCloud Connect helps to get rid of duplicated, or poor-quality records, you can finally have the data you can actually trust. As a service professional, with each incoming email, you’re all set to instantly reveal the context, status, and every open issue of your tickets, escalate them to cases, or automatically create reminders in accordance to SLAs. Among the most appealing benefits for CRM admins is that they can easily customize the product’s UI according to their Salesforce needs. As to the increase in CRM adoption, enterprise-class support, complete end-to-end security, we’ve got the ROI figures which speak for themselves. Finally, talking about what makes us different, I guess is that while most of our competitors are focused on integrating data, our unique selling point is integration of custom business workflows with the tools that people actually use day-by-day. And we know all the ropes of the thing. Q: You’ve recently announced partnership with SpringCM; could you tell us about it? A: Well, SpringCM is one of Salesforce’s top ISV partners, and it is well known as the best-in-class solution that solves document and contract challenges for thousands of customers around the world. 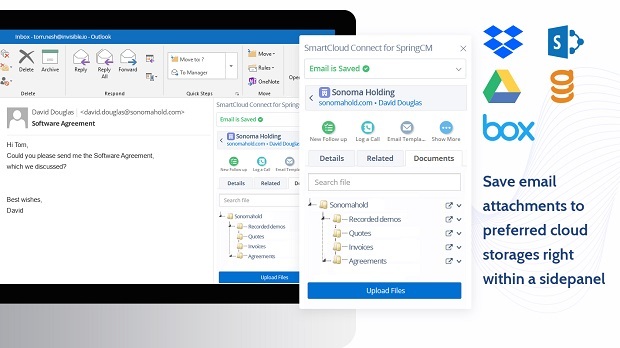 We have partnered with SpringCM to streamline document and contract management workflows through Calendar, Inbox, and Salesforce-driven routines. So, by bringing our experience and the document management expertise of SpringCM, our joint solution simplifies all hurdles when it comes to document and Outlook / Gmail workflows. Now, while reaching prospects through emails, users can access every document they need from SpringCM, without the need to shuffle through different interfaces. They can also easily organize and share their files, connect with Salesforce, any other CRM, or use no CRM at all. A: Before I answer this question, I must explain that the lifeblood of Invisible.io, the company behind SmartCloud Connect, is data synchronization and its integration. Beyond melding enterprise systems such as CRM, ERP, HRM, etc. with personal communication applications like Office 365, Outlook, Gmail, Lotus Notes, and various messengers, we continue to focus on configuring custom enterprise-specific features in accordance with the workflows of our clients. We truly believe that the CRM system is the smartest sales rep in each company just because it knows it all. It knows way more than any other salesperson in any company. And on the other end, we have our email server, which recognizes every single, little detail. Because all conversations are there. The thing is that no one asks their CRM and Inbox what they would advise to do, based on the experience of the company and based on everything which has happened in the history of their communications. Now, when SmartCloud Connect is in place and it connects CRM with Inbox, Exchange, or Gmail, we’re set to close this gap and uncover the huge power of data. There is a ton of potential value sitting here, and since one of our core missions is to integrate processes, not only data, we are already digging actively to find more and more use cases for smart productivity and automation.